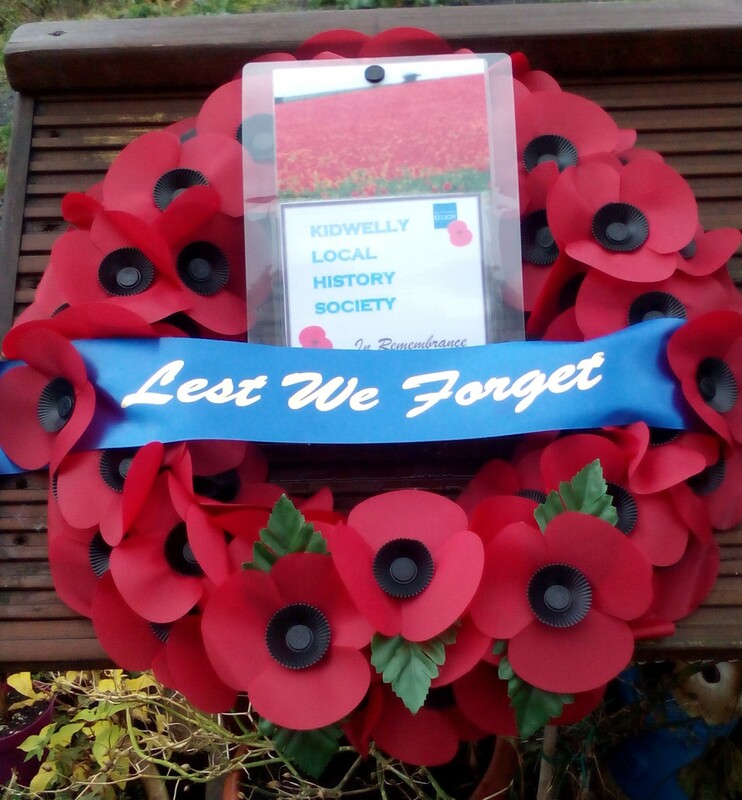 Welcome to the Kidwelly Local History Society Website! 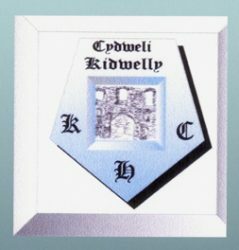 On this page we will post information about forthcoming events, and other news items, relating to the history of Kidwelly and surrounding area. Our focus shifted from history to wildlife last Thursday, 28th March, as Richard Pryce, Recorder for the Botanical Society of Britain and Ireland, gave us a very interesting talk on the ways in which man’s past activities have influenced the flora and fauna of the valleys of the Gwendraeth Fach and Fawr. We were not too surprised to learn that the overall effect of mining and quarrying has been negative, though there have been some surprising success stories. 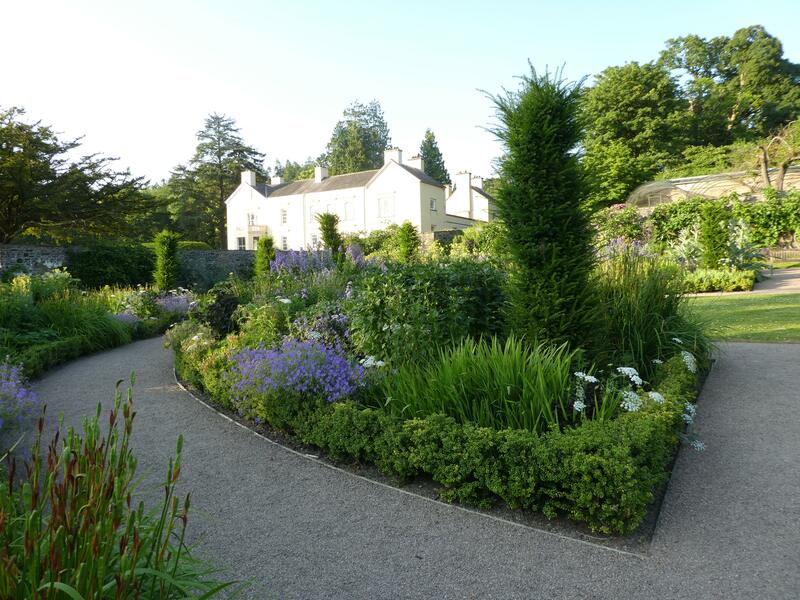 You can find more details on our ‘Topics of Historical Interest’ page. 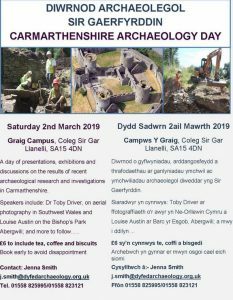 On 2.3.19. the Dyfed Archaeological Trust will hold a ‘Carmarthesnhire Archaeology Day’ at Coleg Sir Gar, Graig campus. 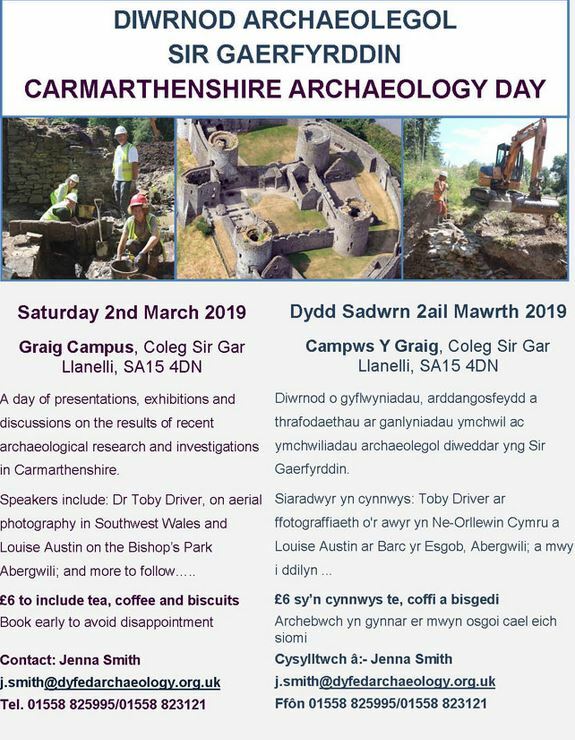 Contact Jenna Smith (j.smith@dyfedarchaeology.org.uk) to book a place. Lt. Col David Mathias gave an entertaining and enlightening talk on Thursday, 22nd November. 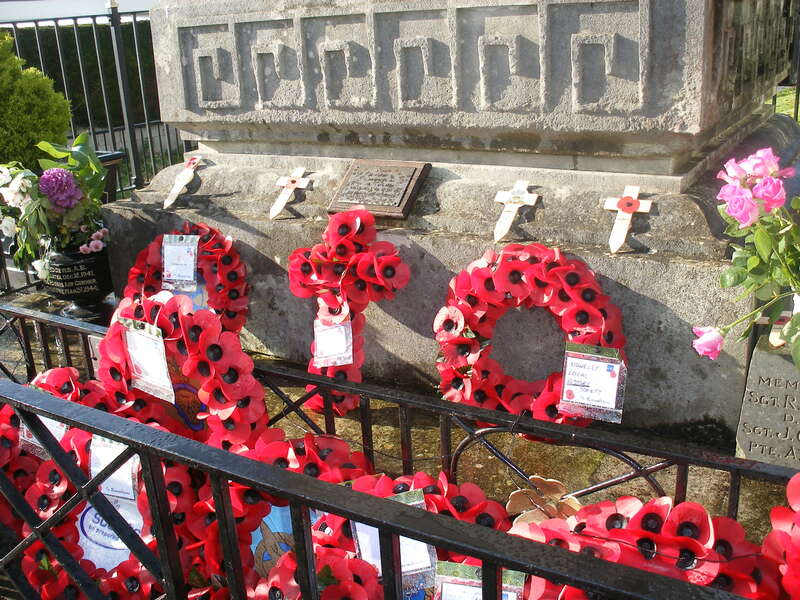 He covered many aspects of the Great War, including the causes, and the effects of the conflict within Wales. We had an interesting discussion on the war at sea, and readers may be interested in an article about this from the British Library. The role of horses during the Great War was also discussed, and more information on this topic may be obtained from the National Army Museum. This will take place at The Thomas Arms, Thomas Street, Llanelli, SA15 3JF. Many thanks to Phil Cullen for explaining the long and fascinating history of coal-mining in the Gwendraeth Valley, an industry which has now disappeared, but is still very much in the memory of many local people. We are very sad to record the passing of Bob Edwards, one of the longest-serving members of KLHS, and a key part of the Managament Committee for many years. If anyone would like details of funeral arrnagements etc, please get in touch with Vivian Summers. 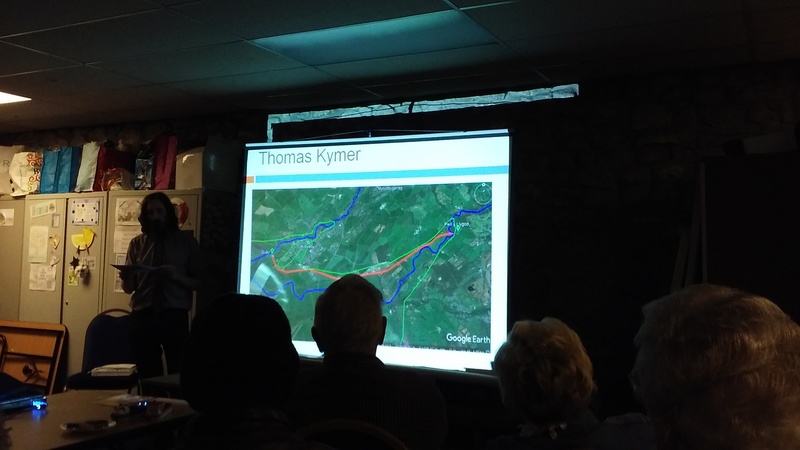 Many thanks to Ed Davies for an engaging and informative presentation about the canals in the Cwm Gwendraeth- Llanelli area, especially Kymer’s Canal: the first in Wales. You can find Ed’s presentation on our ‘Topics’ of Historical Interest’ page, and there is also relevant information on Coflein and Wikipedia. 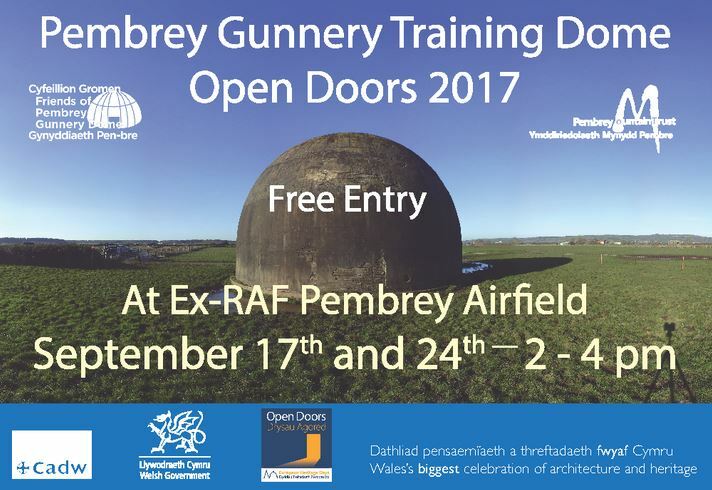 On 9th September, Kidwelly Industrial Museum will open its doors to all, free of charge, and there will also be a classic car exhibition and other stalls. Those interested in the tinplate industry in the area may also wish to attend a Llanelli Community Heritage talk by Peter Rees entitled ‘The Origin of the Tinplate Industry’ on Tuesday, 11 September, 7:30 pm ,at The Thomas Arms, Thomas Street, Llanelli, SA15 3JF. 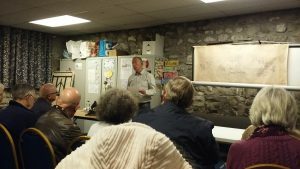 We’ve had a rest during July, but in August we’ll be back with a talk by James Meek of the Dyfed Archaeological Trust. 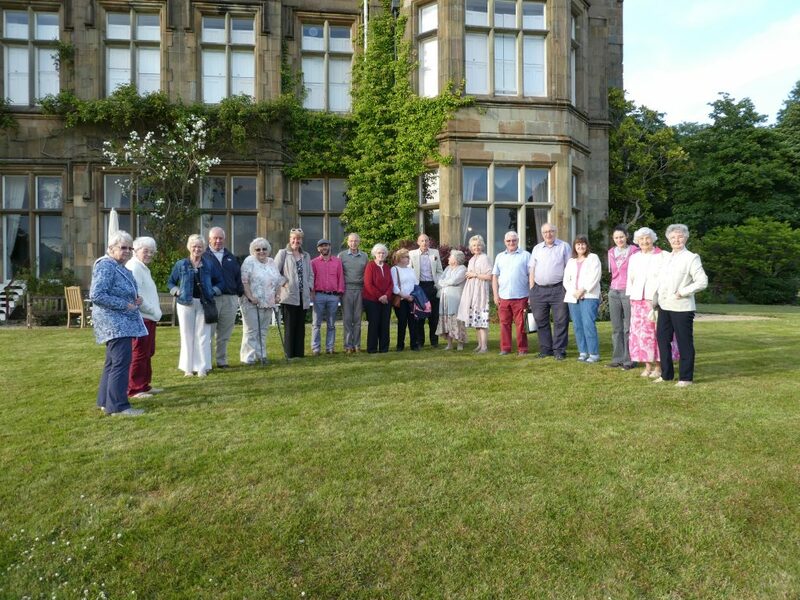 The talk will take place on Thursday, 23rd August, 7.30pm, St Mary’s Parish Room, and James will tell us about the 2017 dig at St ishmael’s. This should be a really interesting talk. On the evening of Thursday, 28th June, we had a very enjoyable evening at Aberglasney, with a guided tour of the house and gardens by Head Gardener Joseph Adkin. 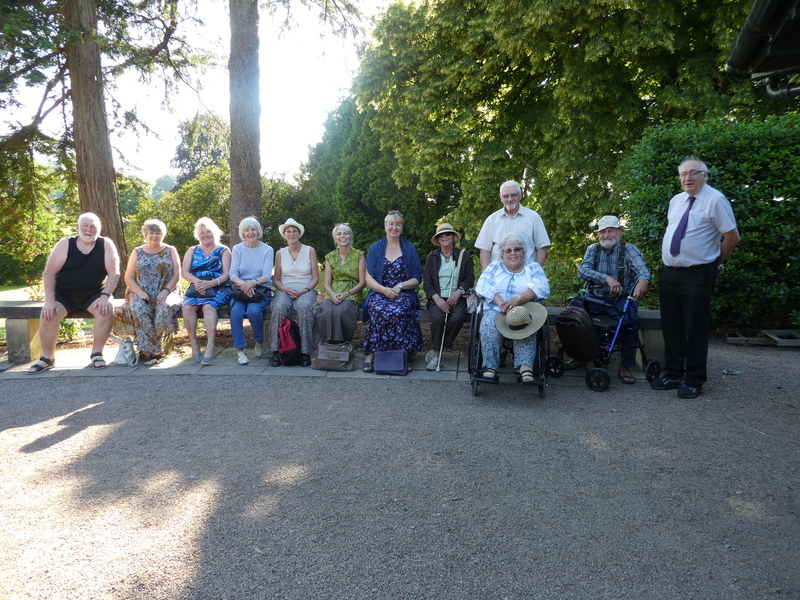 It was a warm and sunny evening, and it was a joy to be able to amble around the different garden areas, especially very old parts such as the Cloister Garden. Many thanks to Martin Davies who gave a really engaging talk about the fascinating artist James Dickson Innes. A really good way to end our 2017-2018 season of talks! 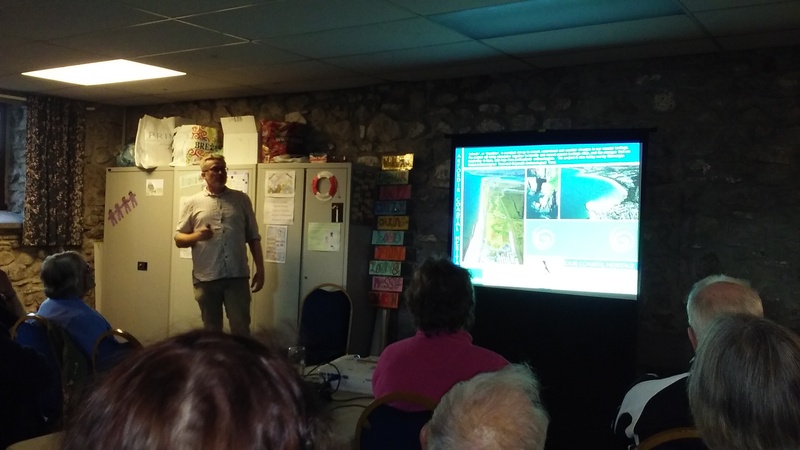 You can see a selection of slides from Martin’s presentation on our ‘Topics of Historical Interest‘ page. Our last talk of the 2017-2018 season will be given by Martin Davies of Llanelli. He will tell us about the fascinating artist James Dickson Innes who was born and brought up in Llanelli, and who painted several local scenes, including at least one from Kidwelly! 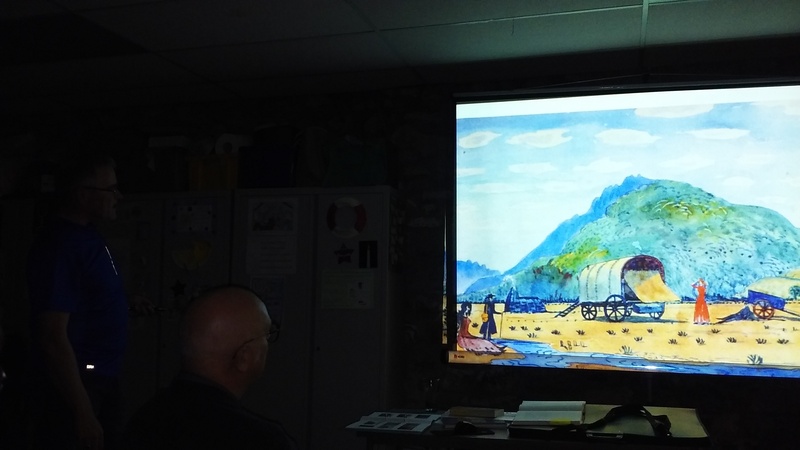 On Thursday, 26th April, Jeremy John adressed us on the topic of Henry Morton Stanley. Jeremy is an excellent speaker, so we knew it would be a highly entertaining evening. It turned out to be very enlightening, too, for few of the audience knew much about this Welsh-born explorer, and certainly didn’t realise that he had such humble origins. You can find out more about Henry Morton Stanley’s complex and fascinating life online, and several biographies are also available. We are very much looking forward to welcoming Mr Jeremy John of the Gwili Railway who will be our speaker on Thursday, 26th April, 7.30pm. A warm welcome to All!/ Croeso cynnes i bawb! On 22nd March, we will be joined by Stephen David of the WEA once again. 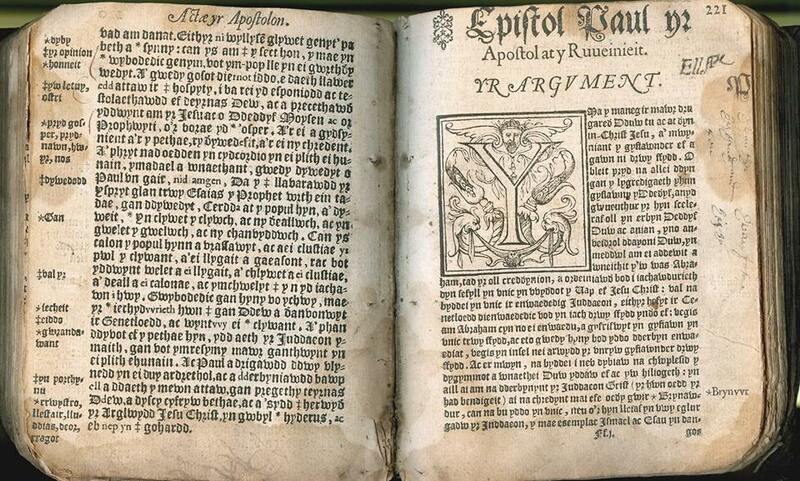 On this occasion, he will tell us about the intriguing topic: ‘Sea Sergeants: Jacobitism in Carmarthenshire’. 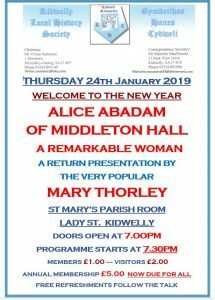 As before, the talk will commence at 7.30pm, and will be held at the Parish Room, St Mary’s Church, Lady Street, Kidwelly. On the centenery month for Women’s Suffrage in the UK, it seems very appropriate that we ask ‘Where were the Women?’ We look forward to a presentation from Mary Thoreley who will answer this question in the context of Carmarthenshire Women in the 19th Century. We will meet on Thurs., Feb 22nd, 7.30pm at the Parish Room, St Mary’s Church, Lady Street, Kidwelly. 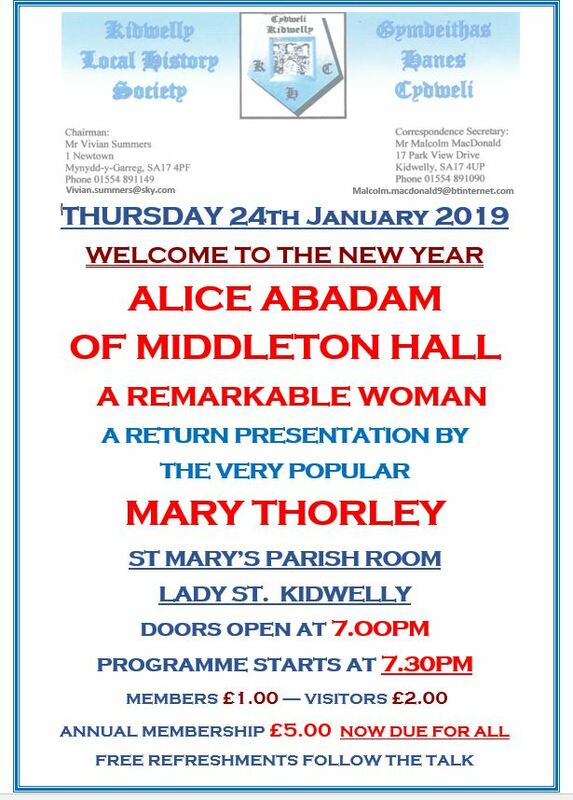 We will begin the New Year with a talk on Thursday, 25th January, 2018, 7.30pm. 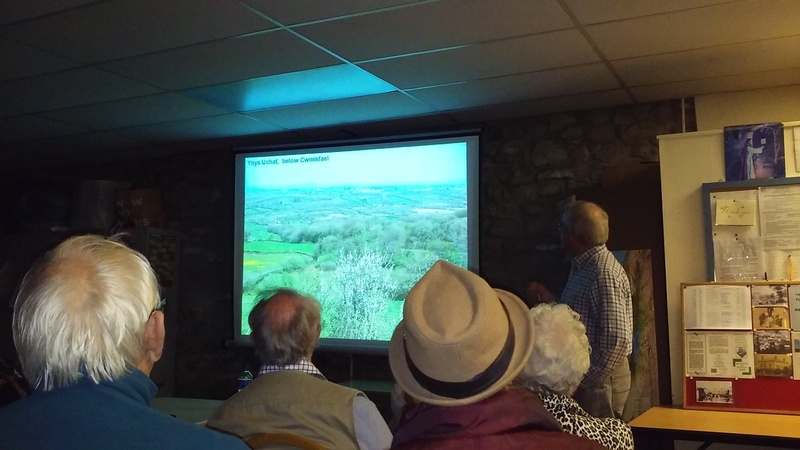 Byron Huws will discuss the castles of Cedweli. 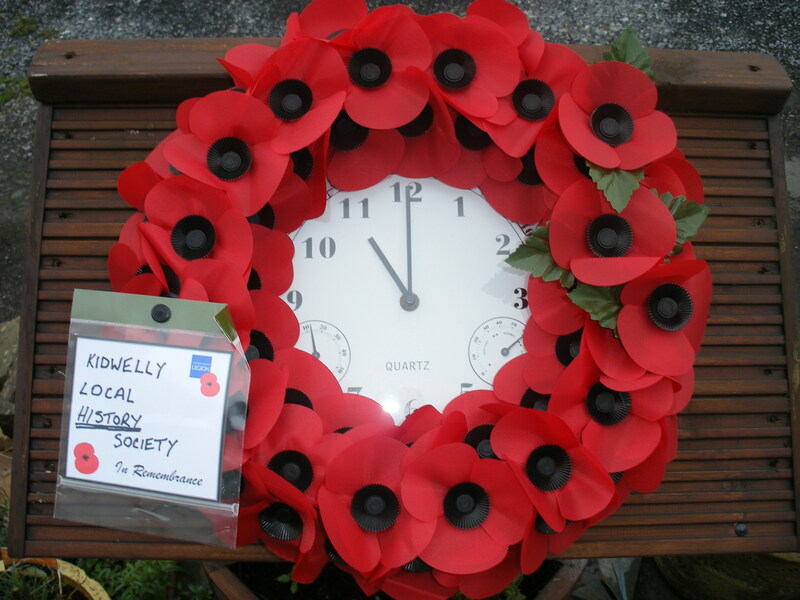 Once again, we will meet at the Parish Room alongside St Mary’s Church, Lady Street, Kidwelly. A very warm welcome to all! 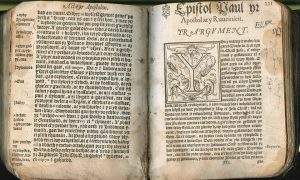 Croeso cynnes i bawb! 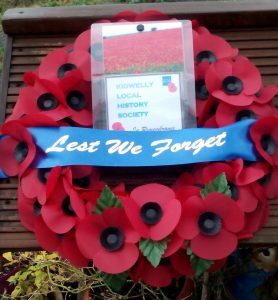 KLHS contributed a wreath on Remembrance Sunday as a token of remembrance of the bravery and loss of members of the forces from our area, especially the Wolrd War 1 battles that took place during 1917 such as Passchendaele. This is an important part of our history. 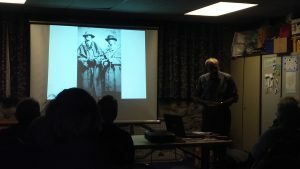 Our November talk will be on the very interesting topic of the ‘Droving Trade in West Wales’, and will be delivered by Bruce Smith of Ferryside. The talk will take place on Thursday, 23rd November, 7.30pm, in the Parish Room, St Mary’s Church, Kidwelly. We very much hope you’ll be able to join us, and note that there will be no talk in December. 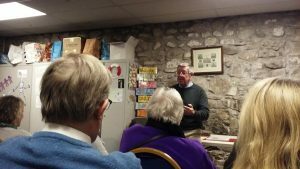 The next talk of the Kidwelly Local History Society will be on Thursday, 26th October, 7.30pm, at the Parish Room, St Mary’s Church, Kidwelly. 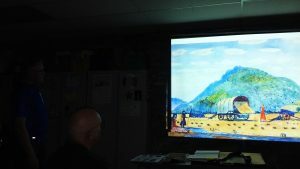 The topic will be the ‘A Magic Lantern Show’, and will be presented by Rosemary and John Blythe of Swansea. 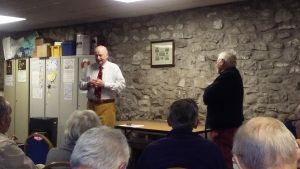 The next talk of the Kidwelly Local History Society will be on Thursday, 28th September, at the Parish Room, St Mary’s Church, Kidwelly. The topic will be the ‘A local young Victorian lady’s travels in Europe’, and will be presented by Madeline Summers. The KLHS AGM will take place before the talk, commencing 7.30pm, and hence the talk is likely to begin at 8pm. From Monday 25th September to Saturday 7th October , the Dyfed Archaeological trust will be returning to excavate at St Ishmael, Carmarthenshire. Anyone wishing to take part in the excavation should email s.rees@dyfedarchaeology.org.uk for more information and a registration form. 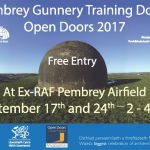 During September, many places of historical interest will be open for public viewing, often free of charge. 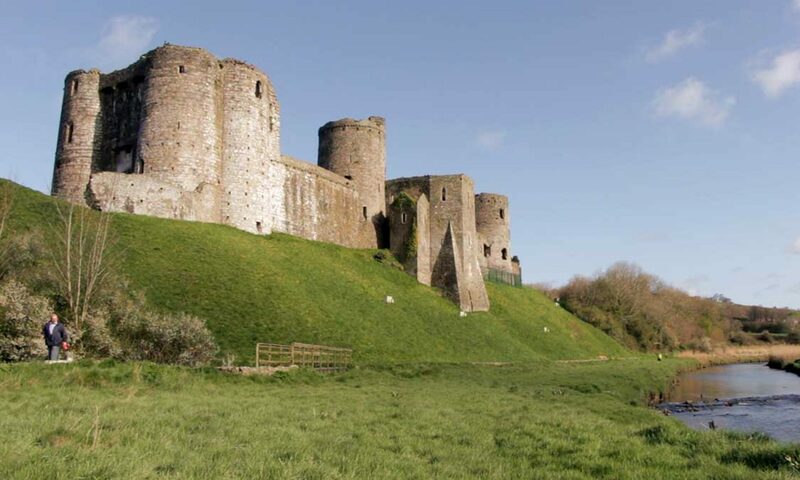 A list of locations and dates in Carmarthenshire can be found on the Cadw website. 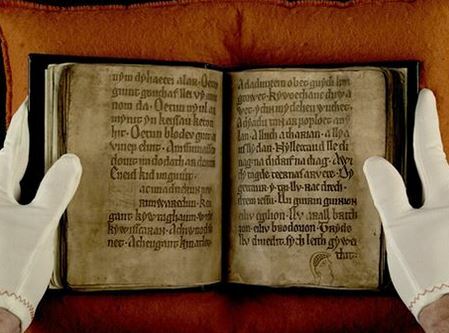 The Black Book of Carmarthen comes to Carmarthen!